← Review: Carnevale – Rhinos Can’t Jump! Speaking of scales, a little bird also tells me that Armourfast is working on some 15mm projects. 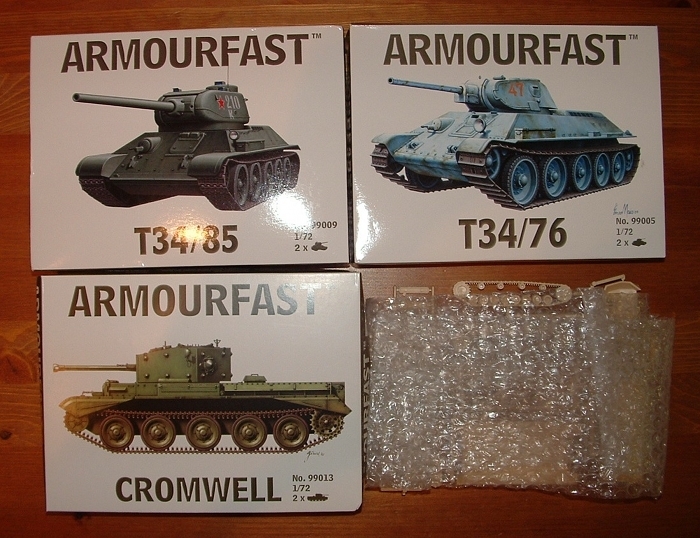 Now I can’t tell you what they are yet, but given that Armourfast currently only make WWII plastic kits I could guess. More 15mm WWII plastics? Now wouldn’t that be interesting? This entry was posted in WWII. Bookmark the permalink. It would be nice to have a good 15mm rule system i like. So i could start collecting 15mm minis and bring it to the club. I do like ww2 gaming, oh and Germans. Mainly waffen ss its the cammo. Yeah but you allso cant see how bad my painting is at that scale too. Is you WWII 15mm rule set ‘super duper’ secret? Or could we discuss the ‘general conepts’ you want to use, and maybe basic game mechanics? I am very interested in WWII war games , and a new 15mm one would be well recieved I am sure. In general though, at 15mm scale it’s going to be company+ size. I like 1:1 model to man ratio for this kind of game, so that’s what it’ll be: WYSIWYG. Much as I think that one of FOW’s cleverest features is its telescoped and variable scale, I won’t be adopting that for this game. As much as I like FoW, their rules could need some cleaning up…. You think so? I’ve not played many games of FOW, so I’m not an expert. They seemed reasonably clear to me on a brief acquaintance though. I thought they produced a pretty good “gamey” WWII game. Have you ever seen the telephone-book sized “annotations to the rules” by the gamers? The rules are not that difficult…. but the layout of the book makes it harder to learn them than you would expect. And there are quite some things that need clarification…. hence the above mentioned telephone-book. A cleaned-up third edition really would not hurt. It´s not that easy to get WWII-opponents in Germany and the rules make it no easier task. I don’t play it regularly enough to have searched out that sort of addenda. I know what you mean though. It’s partly an inevitable side-effect of the “army book” approach to rule writing, where you end up needing to cart around half a dozen volumes to get every rule that applies. This approach also makes it very much more difficult to keep consistent and avoid errata. Could you let me know the core concepts you want to use? Anyhow Ill understand if you want to keep things close to you chest at this early stage. I am assuming you will using based infantry . So a simple morale system would be useful? And a clear distinction between anti infantry / anti armour type weapons? I only want to help if I can …. Hi Kevin. The realities of it are that FOW is so popular that it has defined the “accepted” base sizes for infantry groups in 15mm WWII, and anyone trying to do something very different will have a real uphill struggle. The industry practice here has always been to simply adopt the same basing conventions as any dominant market leader as it benefits all involved, gamers as well as companies. People who fail to do this fail to do very well. I can’t think of an exception to that rule. Morale should be factored into the battle in some fashion, though I doubt that a separate morale system is the most elegant solution. I am approaching weaponry from a function and doctrine point of view, so anti armour and anti infantry weapons are clearly distinct. Can I offer some ideas for discussion? If we let units (on good morale) take 2 actions per game turn. This allows the following 2 action ‘orders’ to be given to units. The game turn runs like this. Players place ‘order counters’ face down next to units on good morale . Player A turns over order counters one at a time and peforms the first action of the order counter with each unit as the counters are turned over. Player A removes the order counters one at a time and performs the second action of the order counter as the counters are removed from each unit in turn. Attempt to rally units on poor morale . As I am old and forgetful (especialy after a beer or two.lol) Having one counter next to each unit that informs you the state of every unit, AND the point at which the game was left ‘to get refreshments’, is a very welcome idea! It is similar to looking at the attacker for a brief period of time , then looking to see what the defender has done in the same time period. (Almost simultaneous but no quite. )And offers a lot of tactical interaction/thought.What actions to take what order to take them -when to activate, what are opposing units going to do?..etc. If it is too complex, would you prefer a simple alternating activation or alternating (interlaved ) phases? I can offer up some ideas on damage resolution ,(intergrating physical and psychological damage )if you like? Sometimes I like pre-planning (Urban War, Epic, Nuclear War, etc), and sometimes I’d rather use a more immediate system. For this I’d planned to avoid order counters and just have players act on their turn as they chose. I don’t want to describe this system in detail yet as it’s not entirely working the way I want it to. I’m not just using alternate activations though. That would work, it’s just not what I’m using. You sound as if you’ve already got a whole game done Kevin. This is your project, I just wanted to post up some ideas that you ,(hopefuly), may find useful. If you are using ‘interleaved phases’,this one works realy well for modern warfare. It is ‘semi structured’ and allows a degree of freedom within the ‘safty’ of ‘defined turns’ . I obviuosly dont want you to divulge details you want to keep to yourself. Would discussing basic game mechanics and alternative resolution methods be ok? No fine detail just basic nuts and bolts as it were. I’ll come back to that thought later. Your comment about there being a difference between a “whole system worth of game mechanics” and a “full game” is an interesting one. What do you feel is missing? Apart from the elements of background colour, painting guides, etc, what do you think makes a “full game” apart form your system of game mechanics? I suppose I am applying the development processes from my day job. I have a set of game mechanics that will result in a playable game.BUT I have to asign actual values to actual units -play test -refine etc. So its at the alpha testing stage. It needs lots of testing and adjustment to arrive at a full game with ‘defined perameters of optimal function’. I like simple systems that are easy to follow and give intuitive results.